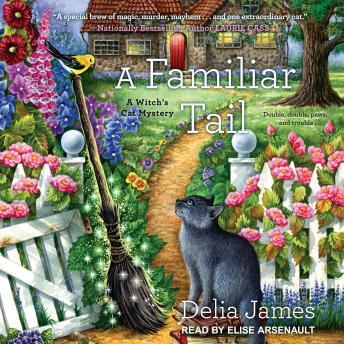 Suddenly saddled with a witch's wand and a furry familiar, Annabelle soon meets a friendly group of women who use their spells, charms, and potions to keep the people of Portsmouth safe. But despite their gifts, the witches can't prevent every wicked deed in town . . . Soon, the mystery surrounding Alistair's former owner, who died under unusual circumstances, grows when another local turns up dead. Armed with magic, friends, and the charmed cat who adopted her more than the other way around, Annabelle sets out to paw through the evidence and uncover a killer.